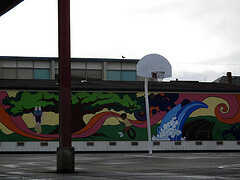 Bryant Montessori Might be Mobile a photo by Gexydaf on Flickr. 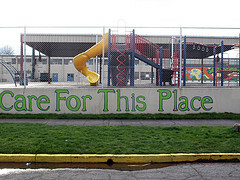 Bryant Montessori, located at 717 S. Grant Ave., Tacoma, WA 98405 is one of the Tacoma Schools that might be flux. In 1998, this school received a grant to become a public school using the Montessori method. It now provides preschool to 8th grade education. The district proposal currently on the table is to close nearby Franklin Elementary School and use that building to house the Bryant program. 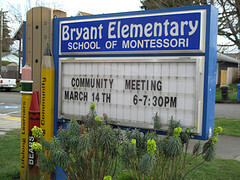 Originally the intent had been to house the entire Bryant program at Franklin, but now it is looking more likely that the elementary portion of the Bryant program will move to Franklin and the middle school program would join Geiger Montessori which will move to the vacated Hunt Middle School. This would allow at least some of the Franklin students to at least have the option of staying in the Franklin Building if they wanted a Montessori style of education. Per the newspaper article below “A variety of programs, including Head Start and others, would move from the old Madison School site to the Bryant Elementary site”. Everybody clear? Update 7/11 Bryant Montessori is staying put. 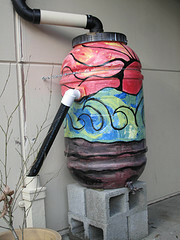 This entry was posted in Art -- there is art here!, Schools, Tacoma, Their future is in question, WA State - Pierce County and tagged 717 S. Grant, Bryant Montessori, closing, flux, Franklin, Geiger, Hunt, Madison, moving, mural, school, schools, Thanatopsis, William Cullen Bryant on March 15, 2011 by admin.